My chavrusa and I started talking about this practice, and we were wondering whether there is any recognition in the gemara that coerced testimony may not be valid. I'm familiar with the concept of "כופין אתו עד שיאמר רוצה אני", but I don't think this is similar... that concept is uniquely suited to situations where there is a mitzvah being done. Here, he is simply giving testimony about a case. Is there a parallel in halacha? This is written as an answer since I am not entitled to write comments. The question seems to infer how to ask the witnesses questions to make sure they are telling the truth and to see if they retract them. I quote a gemoro at the very end of yibamos which gives an example. 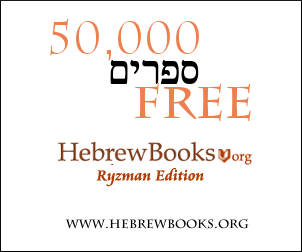 This English version of the whole talmud has now ended its "copyright" and is available for everyone on the net. As far as I know, the gemara does not explicitly recognize coerced testimony. Although testifying in judicial matters are considered by the Monei HaMitzvot (independent lists identifying the commandments; Rambam §178, Chinuch §122 et al., based on Lev. 5:1) as a commandment (one who has honest testimony to offer must testify), a beraita in Bava Kama (55b) states that one who does not offer testimony is accountable only "b'dinei shamayim" (judgment by th heavenly tribunal). Thus, aside for penalty of a curse for not offering testimony (cf. Shev. 35a), no physical coercion was executed. As Prof. Boaz Cohen writes (Jewish and Roman Law 748ff.) "the rabbis considered it merely a moral obligation upon every Jew to testify." Yet, Coen (op. cit. p. 747) quotes Ginzberg's 'An Unknown Sect' (Eine unbekannte judische sekt, pg. 171 n. 6) where he demonstrates that in later Geonic times it was common to pronounce a ban upon anyone unwilling to offer their testimony. You need 2 Eidim to witness that this person (or these 2 people) who refused to give testimony actually saw what was being witnessed, which means they also saw what was being witnessed so why don't they just give Eidus themselves we only need 2 as תרי כמאה- is the same as 100 (Shavuos 42a). If their are no eidim that saw him see the Eidus, we can't force him to testify he makes an oath שבועת העדות (Shavuos 30a) that he saw nothing and we have no choice but to believe him. "כופים אותו..." has nothing to do with testimony. It is used when someone's consent is required to enact a Beis Din's ruling either in Mamonos or Ishus. You can not force witnesses in Nefoshos to tell what they didn't see - the actual meaning of a Coerced testimony. It seems you mistranslated Rashi: he says "על מנת ש]יחזרו בהם]" - meaning literally "retract their testimony". A Bais Din takes all measures to cancel even a true testimony in order not to sentence a Jew as the Gemmorah holds a BD that kills once in 70 years "deadly". This is not Rambam's approach that they try to fool them around to test their testimony, but to cancel it altogether even if it is true. Not the answer you're looking for? Browse other questions tagged edim-witnesses maseches-sanhedrin . Sanhedrin 6:6 - Halacha or common practice? Does the defendant give his testimony in Nefoshos trials?